How could you choose anyone else besides the Secret Weapon for today’s number? When you look at how long he’s worn the number, it’s a no-brainer. 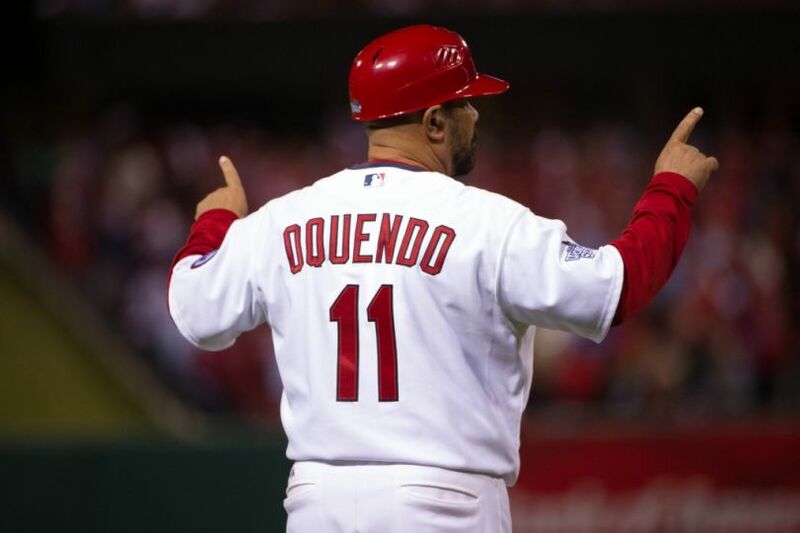 Sure, finding a picture of Brummer stealing home or Tatis going deep again for his second grand slam in an inning would be a nice thing, but 11 is Oquendo’s number, more than any other number belongs to any other player. What’s amazing is that when we think of numbers going with players, we don’t think much about longevity, but production. Stan Musial wore 6 for 20 years, but we tie him and his number together because of his excellence on the field. Yet 11 is, I wouldn’t say revered, but respected even though the man wearing it never had an amazing season at the plate or was ever a cornerstone of a defense. Oquendo just showed up and played, no matter where Whitey Herzog and others put him. He didn’t play his natural position much because of that other guy, a guy named Smith, but that didn’t stop him from getting his name in the lineup. Outfield? Sure. Second? Of course. You need an extra inning pitcher? He can do that too. This video probably sums it up best. Bugs Bunny’s got nothing on him. But what might be more valuable than those days of being the ultimate utility man is what he’s become in the last 16 years. Catching on with Tony La Russa‘s staff not long after he came to St. Louis, Oquendo is now the keeper of the flame, the organizational man, perhaps this generation’s answer to Red Schoendienst. Oquendo has been here, as either a player or a coach, for over a quarter of a century. He knows how it’s been done, how it should be done, and what needs to be done to get it done the right way. While he’s had some managerial interviews in the past with other clubs, I’ve not heard much about that recently. It probably speaks to how valuable he is, plus what kind of person that he is, that he continued to serve on Mike Matheny‘s staff even though he had interviewed for the job after La Russa left. 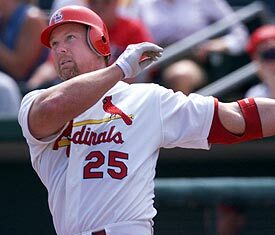 Instead of being bitter or hurt, he just kept putting on the uniform and Matheny, to his credit, didn’t stop him. So here’s to the Secret Weapon, and to the fact there’s just a week and a half left until the season starts!